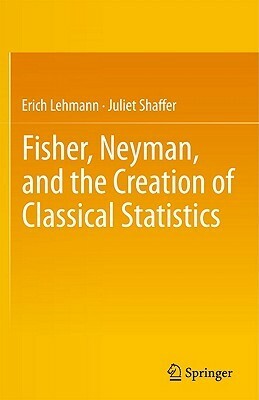 This book was a quick read that contained lots of interesting information on the history of classical statistics and the interactions between Fisher and Neyman, as well as other key plays (E. Pearson, K. Pearson, William Sealy Gosset, etc.). Many of the stories from the book helped me to understand part of why these two brilliant men disliked each other so much.However, at times, I found the book a bit disorganized and I didn't always understand why certain stories were placed in certain chapters. Also, the author frequently used subheadings as a way to get around the complete lack of transitional sentences or paragraphs at the end of sections. Some of the jumps from Fisher to Neyman were very abrupt as a result. Also certain chapters and sections were simply quotes strung together with a sentence or two. While this can be expected in a historical work, it made it difficult to follow the point the author was trying to make. I reached the last chapter realizing I didn't completely get what Fisher and Neyman had in common and how they were different. Fortunately, the last chapter was a summation, but I would have liked more cohesion earlier in the book. Would have appreciated more overview and background about the stats.